United resisted any temptations to tinker with the line-up at the interval and continued with their 4-3-3 formation. 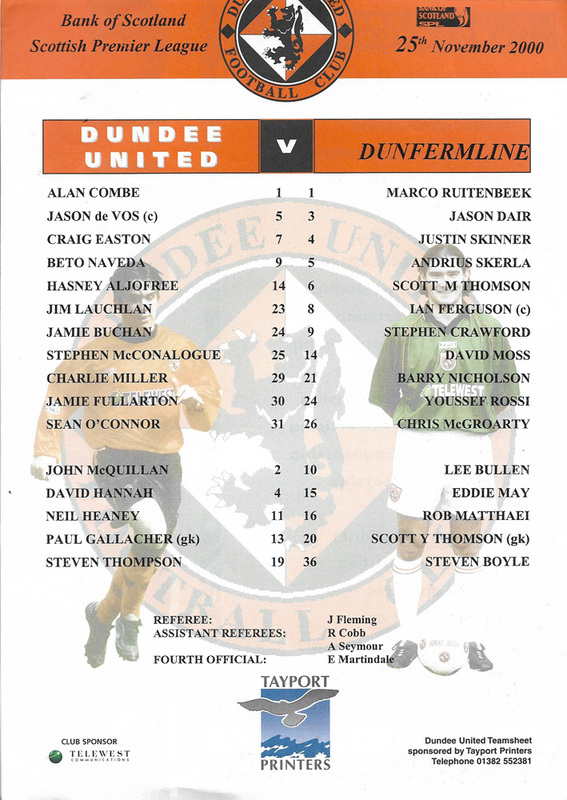 In 52 minutes Dunfermline’s McGroarty was yellow carded for upending McConalogue in the middle of the park. The visitors had an opportunity to reduce the deficit in 54 minutes but Skinner hooked his shot wide of the goal. In 60 minutes Easton was sent off for a second bookable offence. A minute later Lee Bullen pulled a goal back for the Pars scoring from close in. In 62 minutes Miller’s turn and shot was well saved. 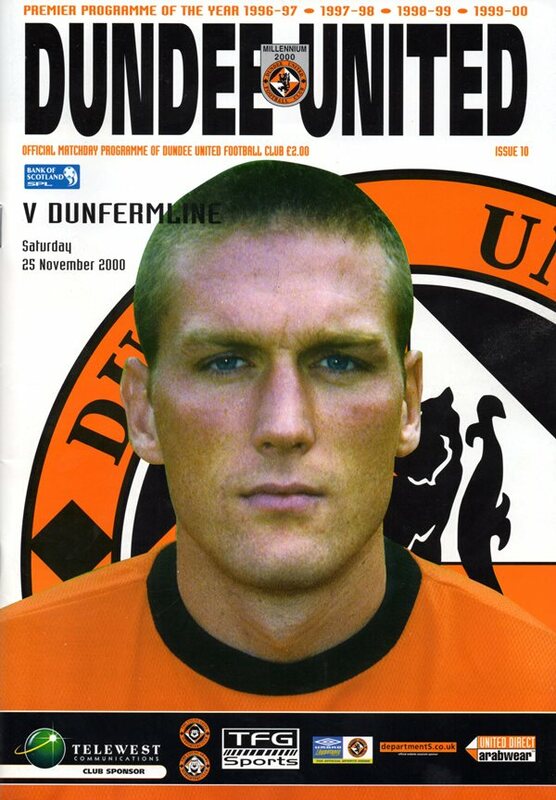 The same player was also booked for his part in a melee on the ground with several Dunfermline players. Disaster struck for United in 65 minutes as David Moss headed home a corner from the left to make the score 2-2. In 88 minutes United went 3-2 up in dramatic fashion. 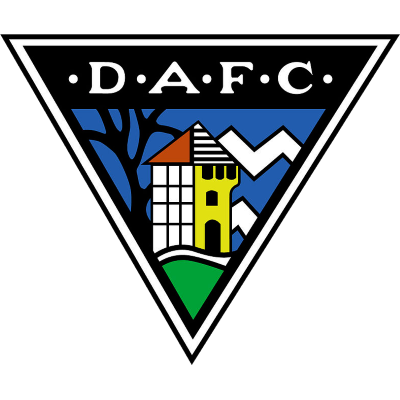 A Fullarton corner was punched away by Moss and the Dunfermline player was sent off for his second yellow card of the match. 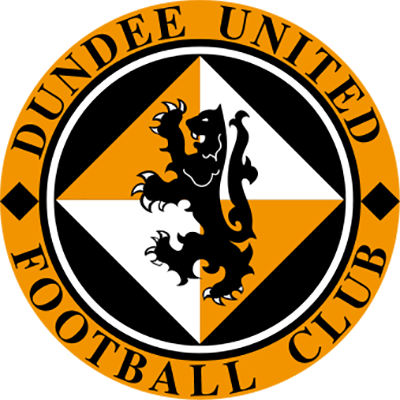 United were awarded a penalty and Charlie Miller converted to send the home support into raptures of delight. It was backs to the wall stuff for United in the remaining minutes but the held on for a much needed victory.